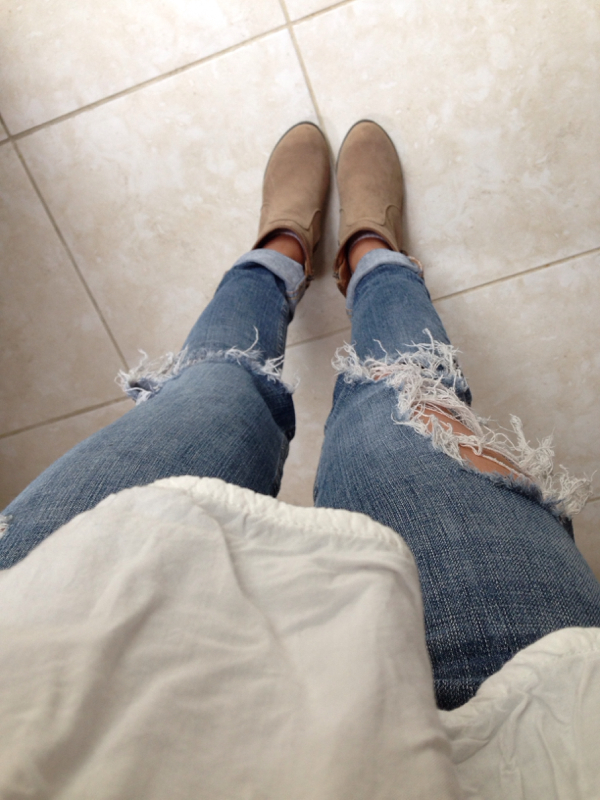 Everybody needs a pair of casually ripped jeans in their closet this season, because it’s coming back in style! Remember when ripped jeans were “the coolest things” back in 8th grade? Yeah, I don’t either. Anyways, I got these ripped jeans a few months ago when I was taking a stroll at my local – Plato’s Closet. As I was walking, I saw these babies and I knew immediately I had to get it, and it was only $10 and they’re Levis Jeans!! As I held them in my hands, I kept saying, “please be my size, please be my size”…and guess what? THEY WERE! It was basically a match made in heaven with my jeans. So this is my outfit for today, I paired my new FAVORITE ripped jeans with a white bohemian blouse that I got from Forever 21 a couple of years ago. Side note: the blouse is a size L, but I didn’t care because I wore it as a flowy blouse, so it works. Back to my outfit, I tied the whole outfit together with a pair of tan booties that I got from Charlotte Russe a couple of years back as well. Those booties are my GO TO booties whenever I need to put a nice, effortless look together.